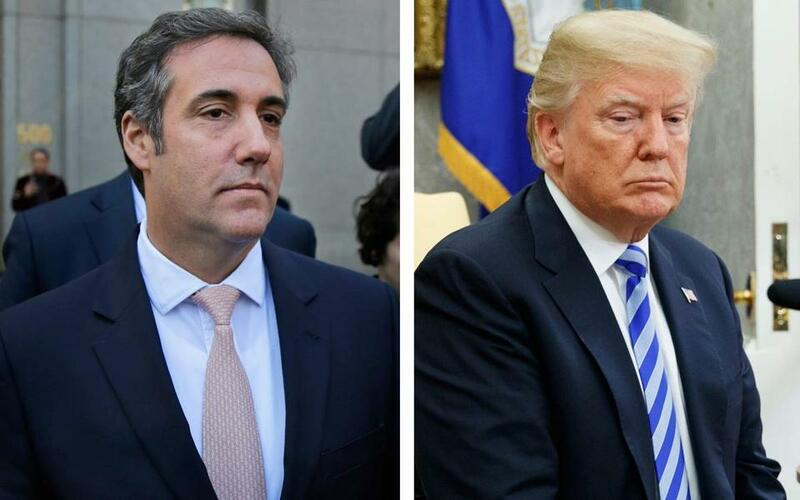 Michael Cohen (left) was reimbursed by President Donald Trump for payments ranging from $100,001 to $250,000. In new financial disclosure documents, President Donald Trump reported reimbursing his personal attorney, Michael Cohen, for an expenditure over $100,000 last year - an apparent reference to the $130,000 that Cohen paid to ensure the silence of an adult-film actress who claimed she'd had an affair with Trump. That statement was couched in a footnote on the 45th page of a 92-page disclosure. Earlier this year, Trump told reporters on Air Force One that he had not known about Cohen’s payment to Daniels. ‘‘Do you know where he got the money to make that payment?’’ a reporter asked at the time. Senate panel releases interviews with Donald Trump Jr. 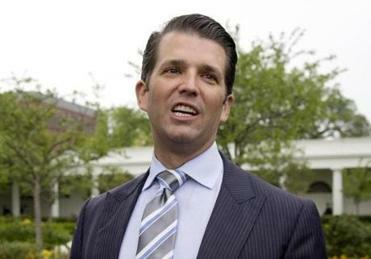 The president’s son told the Senate Judiciary Committee last year that he couldn’t remember whether he had discussed the Russia investigation with his father. More recently, former New York mayor Rudy Giuliani - newly hired as part of Trump’s legal team - said in interviews that Trump had reimbursed Cohen for the payment. After the payment to Daniels was first revealed by the Wall Street Journal, Cohen acknowledged making the payment himself. He said he had not been reimbursed by Trump’s company or Trump’s campaign. ‘‘Neither the Trump Organization nor the Trump campaign was a party to the transaction with Ms. Clifford, and neither reimbursed me for the payment, either directly or indirectly,’’ Cohen said, using Daniels’ real name, Stephanie Clifford. The payment to Daniels was made via a limited-liability company, Essential Consultants, which Cohen had set up in 2016. The Office of Government Ethics, which oversees the financial-disclosure documents, said in its own footnote that it had concluded Trump had to report the payment to Cohen in a section that detailed Trump’s legal liabilities over the course of 2017 and the first half of 2018. ‘‘OGE has concluded that the information related to the payment made by Mr. Cohen is required to be reported and that the information provided meets the disclosure requirement for a reportable liability,’’ the agency said. In addition, the Office of Government Ethics released a letter to Deputy Attorney General Rod Rosenstein saying that it had concluded that Trump was required to disclose this liability owed to Cohen. That letter was written in response to a complaint from a watchdog organization, Citizens for Responsibility and Ethics in Washington, which said that Trump should have reported the payments to Cohen in last year’s disclosures. Before taking office, Trump said he shifted day-to-day control of his business to his sons, primarily Eric Trump. But the president retains ownership of those businesses, through a trust, and can take money out of them at any time.